DAY 16. – Most thought-provoking book – Naomi Klein and Joanna Blythman. It really depends what you mean by thought provoking. For example, reading a book about a certain time or place might bring you new knowledge and understanding about that place and time. Reading Beloved by Toni Morrison, for example,or Half of a Yellow Sun by Chimamanda Ngozi Adichie gave me a new understanding of the human cost of slavery and civil war respectively. However, I have decided to focus on two non-fiction books that genuinely did change the way I thought and behaved. The first is No Logo by Naomi Klein which investigates the insidious nature of global marketing. One of the things that I found the most disturbing was the way mainstream advertisers quickly swallowed up anything that might be considered alternative and began to actively seek out the underground so that they could be seen to be cutting edge. Everything is just another fashion now: mainstream, alternative, exotic or eccentric quickly became just another market to be conquered. This book also introduced me to the concept of thinking about where the products come from. I was appalled by the notion of sweat shop labour and resolved to make changes to my own purchasing practises. It is almost a given now, that big companies use cheap labour in order to maximise profit but at the time of reading I wasn’t really aware of it. The most important thing about this book was the fact that it made me think about the relationship between brands, companies and consumers and I began not to take things at face value and to think critically about was going on in the world. Shopped by Joanna Blythman performed a similar function but with relation to the big supermarkets in Britain and the way that they were destroying the high streets. 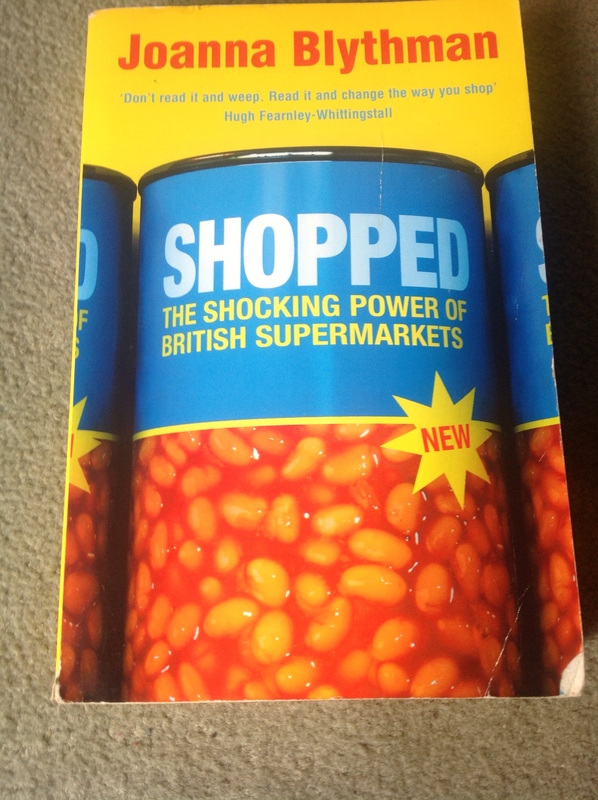 When I read this book, I was already doing certain things – such as buying from my local butchers, having a veg box delivered – so I suppose it wasn’t quite such an eye opener as No Logo but it was still shocking to find out the extent of the exploitation of suppliers and consumers. What I really wanted to say about both of these books (and others such as Fast Food Nation) is that they made me sit up and not only think but act. I think that everyone can make small changes in their lives. I haven’t been to McDonalds and their ilk for 10 years now. Probably it makes very little difference to their global turnover but at least I can rest assured that I am not supporting them. No logo is creepy isn’t it? Gives trends a different edge. Haven’t read shopped but I think I’ll have to keep an eye out for it. Oooooh I have to look into those! They sound super interesting!